#1 Galaxy S3 Warranty Coverage! If We Can’t Fix it, We Replace It! All Galaxy Models are covered! Only $89.99 for 2 Years of Coverage! 100% Risk FREE! You may cancel anytime for a prorated refund. This plan must be purchased within 30 days from original date of purchase. A $99 deductible applies to select claims. Click here for details. Your Galaxy S series phone was most likely not a cheap purchase. In addition to taking normal precautions like having a protective case for it, you should really make sure you are protected in the event of a drop/spill or other accident. Our Samsung Galaxy warranty protection protects you for an additional 2 years beyond Samsung’s manufacturer’s warranty and provides you with total accidental protection in the event of a mishap. Having accidental protection on your phone is highly recommended, given that these types of phones are the ones that are most prone to drops and spills. 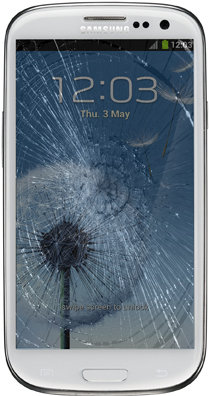 If your galaxy suffers any damage from a drop, spill or other accident, we will repair it or replace it. Doesn’t get any easier than that! Get our Galaxy warranty protection for total peace of mind and protect your investment. We cover all Samsung Models, including the S, S2, S3 as well as the new upcoming S4 model.